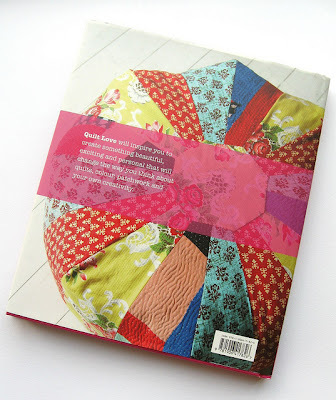 Today I'm reviewing Quilt Love by Cassandra Ellis. Isn't the dust jacket lovely? (the book itself is a bright pink hardback). The 20 projects in the book (lots of quilts and a few smaller projects like a cushion and some quilted artworks) are divided into four chapters: Big Events, Love, Friendship and Memories. Cassandra begins each project by talking about the kind of event, memory or relationship that inspired it, writing thoughfully about each topic, how she's used it as a jumping-off point to create the design and about the meaning the finished piece will have. 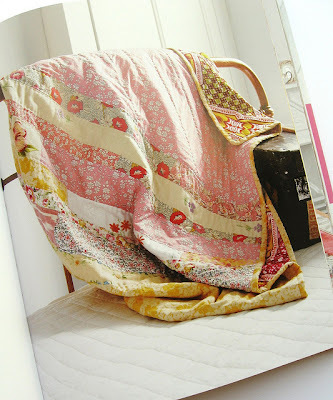 For example, the New Beginnings quilt is inspired by an early commission from a woman whose husband was divorcing her and the finished quilt is described as being "not a reward per se, but a marker and a reminder of your fresh start once you are living your new life." 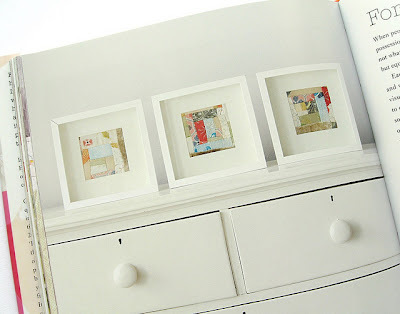 She writes about her fabric choices, how and why she chose them (for their personal meanings, their textures and patterns, the moods conveyed by their colours) and explains how the details of each design connect to her inspiration. 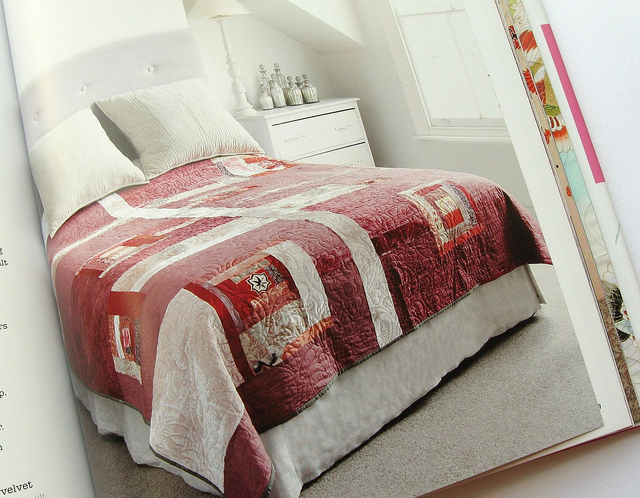 For example, the new beginnings quilt design is slightly wonky and off-centre to match how you feel when things change, and involves panels of luxurious fabrics so you can treat yourself to something really special. 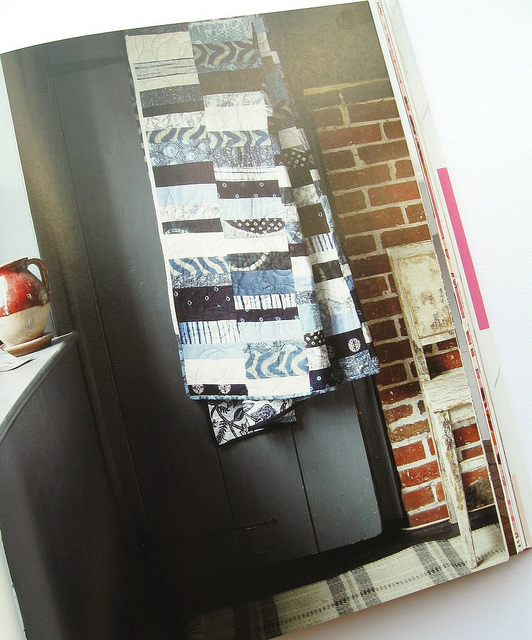 And the quilt for a student off to university includes large stripes of fabric representing their new adventure and narrower stripes to remind them of home (maybe taken from old clothing or linens). She then goes into detail about how to put each project together, with all the important info you'll need to make the designs but also lots of tips about how to choose your fabric and things to think about when constructing your design ... like the best way to arrange the pieces when working on the quilt, which sections will dominate the design, how your fabric and colour choices can be changed to alter the feel of the finished piece, how to build a design around a cherished piece of fabric, and so on. 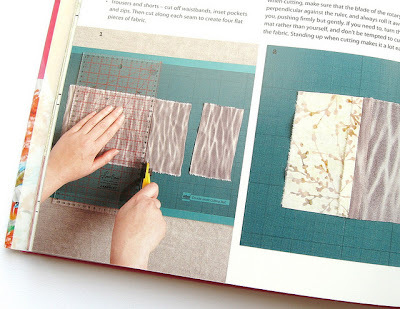 ... but there's also an emphasis on doing things your way, finding materials that suit you, etc, and there's a whole section on how to create your own designs, things to bear in mind when using fabrics with special meaning (e.g. using old clothes or vintage textiles) and lots of useful notes on tone, pattern and scale. 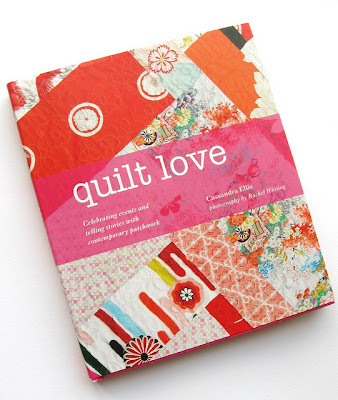 I would love to spend a relaxing evening reading this book, whether I was planning on making a quilt or not, but especially if I was planning on making a something for a special occasion or person in my life and wanted some ideas and inspiration for making something really personal and meaningful. Plus the quilt designs in the book are pretty nice, too! Quilt Love is published by Jacqui Small. RRP £20.00. It's available from Amazon UK and The Book Depository and a paperback edition is available from Amazon USA. 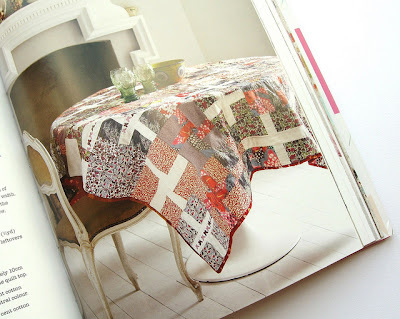 This looks great for a beginner quilter. I do like to have info on how to do things.